Home Entertainment Who is Boa’s boyfriend? 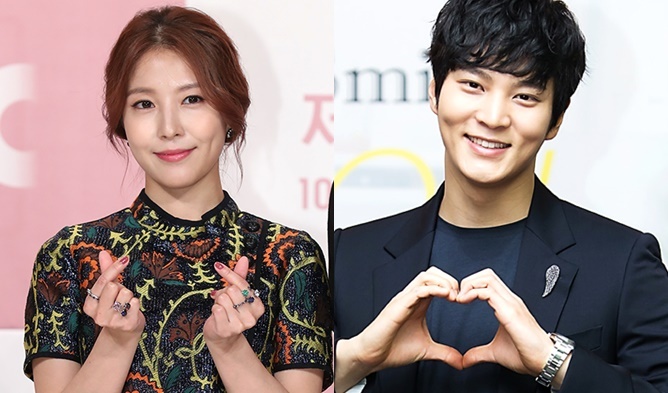 Boa and Joo Won Are Dating Now! The entertainment industry in South Korea has always been known to have strict dating prohibitions for its artist. Still, that doesn’t stop BoA and Joo Won from falling for each other. The 30-year-old singer and actress landed her interest on the 29-year-old actor after meeting each other through a mutual friend. The couple is revealed to be dating! Years of working in a highly competitive industry made BoA an independent woman. She wanted a responsible man to be her partner, someone who would understand the circumstances in her field of work. An intelligent individual would definitely be a plus for her. Another thing: a matching height. Even though BoA had complained about her height (she is 1.6 m) in the past, she isn’t trying to find someone who is taller. In fact, she prefers someone with just the perfect height to match hers. Or should we say rumored ex-boyfriend? Before her relationship with Joo Won was confirmed, BoA has rarely been seen out with a male figure. From her debut day until today, there were only two accountable rumors regarding BoA’s past relationships. In April 2005, “FRIDAY” a Japanese tabloid magazine released a set of photos of BoA and a mysterious male figure. They were seen walking together at the park and, at some point, getting close to each other. Many fans were stirred by this news and expressed their heartbreaks. However, BoA made an acclamation that the male friend she was with was her “dancers’ stylist”. Unfortunately, malicious rumors started to make way into the matter when the media discovered that the man in the photo apparently had been living with his girlfriend. This caused BoA to be poorly viewed and damaged her record sales in Japan even when she had claimed that there were no romantic remarks between them.